This IBM® Redpaper™ publication describes advanced topics for IBM Cloudant, a NoSQL JSON document store that is optimized for handling heavy workloads of concurrent reads and writes in the cloud, a workload that is typical of large, fast-growing web and mobile apps. You can use Cloudant as a fully-managed DBaaS running on public cloud platforms like IBM SoftLayer or via an on-premise version called Cloudant Local that you can run yourself on any private, public, or hybrid cloud platform. This paper is the third in a series of IBM Redbooks® publications on Cloudant. 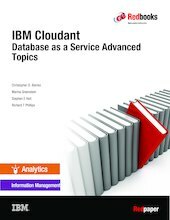 Be sure to read the others: IBM Cloudant: The Do-More NoSQL Data Layer, TIPS1187 and IBM Cloudant: Database as a service Fundamentals, REDP-5126.